In this post, I would like to identify two important aspects of biblical literature which I have not yet touched upon in this series: 1) Scripture's non-literal cosmic language of judgment & deliverance, and 2) its related themes about the end of tabernacle/temple worship and the old creation/old covenant. These are important for understanding Jesus' prophecy to his twelve apostles in Matthew chapter ten: "When they persecute you in one town, flee to the next, for truly, I say to you, you will not have gone through all the towns of Israel before the Son of Man comes." In order to appreciate this statement a bit more, let's start with the first aspect mentioned above. A Psalm of David, the servant of the Lord, who addressed the words of this song to the Lord on the day when the Lord rescued him from the hand of all his enemies, and from the hand of Saul. I love you, O Lord, my strength. The Lord is my rock and my fortress and my deliverer, my God, my rock, in whom I take refuge, my shield, and the horn of my salvation, my stronghold. I call upon the Lord, who is worthy to be praised, and I am saved from my enemies. The cords of death encompassed me; the torrents of destruction assailed me; the cords of Sheol entangled me; the snares of death confronted me. In my distress I called upon the Lord; to my God I cried for help. From his temple he heard my voice, and my cry to him reached his ears. Then the earth reeled and rocked; the foundations also of the mountains trembled and quaked, because he was angry. Smoke went up from his nostrils, and devouring fire from his mouth; glowing coals flamed forth from him. He bowed the heavens and came down; thick darkness was under his feet. He rode on a cherub and flew; he came swiftly on the wings of the wind. He made darkness his covering, his canopy around him, thick clouds dark with water. Out of the brightness before him hailstones and coals of fire broke through his clouds. The Lord also thundered in the heavens, and the Most High uttered his voice, hailstones and coals of fire. And he sent out his arrows and scattered them; he flashed forth lightnings and routed them. Then the channels of the sea were seen, and the foundations of the world were laid bare at your rebuke, O Lord, at the blast of the breath of your nostrils. He sent from on high, he took me; he drew me out of many waters. He rescued me from my strong enemy and from those who hated me, for they were too mighty for me. They confronted me in the day of my calamity, but the Lord was my support. He brought me out into a broad place; he rescued me, because he delighted in me. Let's stop and think about this imagery for a few moments. David describes the Lord "coming" down to deliver him according to his prayer. He also describes the earth rocking and the mountains shaking at the anger of the Lord. Glowing coals shoot out of the Lord, and smoke rises out of his nostrils. The Lord even rides on a cherub (an angel) that flies, and he "comes" swiftly on the wings of the wind. Thunder, hailstones, and coals of fire shoot down through the thick, dark clouds which surround Him. The Lord shoots out arrows of lighting, and by the breath of His nostrils the sea parts so that the ocean floor is laid bare before everyone. And all of this, as David says at the beginning of this Psalm, is a description of the Lord rescuing him from the hand of all his enemies, and from the hand of King Saul. Obviously, this apocalyptic language is not literal, nor was it ever intended to be interpreted as literal occurrences at the time of the Lord's deliverance. Such language is describing a mighty deliverance --a deliverance so mighty that extraordinary cosmic language suits it best-- but it is not a description of literal cosmic events. 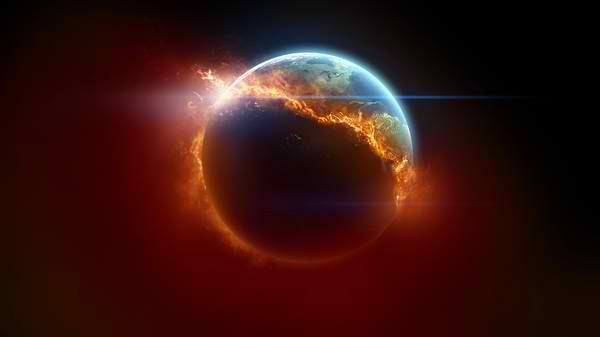 This is but one Old Testament example cosmic and apocalyptic language which describes the Lord's judgment upon His enemies and the deliverance of His children. This, I contend, is virtually identical to the cosmic and apocalyptic language mentioned in Matthew 24, Luke 21, Acts 2, I Peter 3, and Jude 17. In these passages, the author of Hebrews sees a certain "Day" drawing near, and the people of God are encouraged to stir up one another to love and good works, and to meet together regularly, and to hold fast the confession of their hope without wavering because that Day is drawing near. Before that the author speaks of Christ appearing at the "end of the ages." What ages? The ages which led up to the New Covenant and the inauguration of the Kingdom of heaven on earth. This "end of the ages" is also described as a "time of reformation" in which Jesus would pass through the first "tent" and into the real "Holy of Holies"; and these laws pertaining to the Old Covenant priesthood (with the high priest passing through the first "tent" into the "second" tent) are said to be "a parable of that time into the present." In I Cor. 10:11, the apostle Paul uses similar language when he references God's judgments upon the disobedient people of Israel in the wilderness. And Paul says that "these things happened to them as an example, but they were written down for our instruction, on whom the end of the ages has come." Clearly then, according to the apostle Paul, his own generation was living in the time when "the ages" would "end." But what "ages"? Well, in the mind of the author of Hebrews (and many people have argued that Paul was it's author), the answer was simple. The Mosaic tabernacle and it's laws taught the people of Israel that its own system of worship had to end and a better system had to be inaugurated at the end of that age. Ages would pass operating under the old covenant and it's tabernacle/temple system of worship, but a "time of reformation" was promised, according to the Mosaic Law's own "parable." 2. i.e. 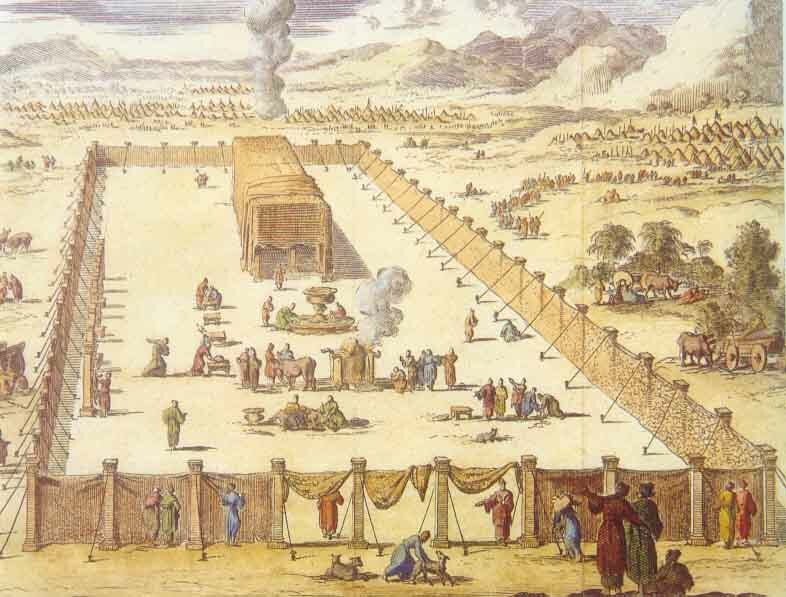 the Most Holy Place (or "Holy of Holies") was the second section, or "tent," of the Tabernacle. According to the Law of Moses, the High priest was the only priest allowed into the second "tent," and he had to walk through the first tent to get to the second "tent." The author of Hebrews argues that this symbolism engraved in ceremonial law was "symbolic of the time now present." 3. The Greek text says ἥτις παραβολὴ εἰς τὸν καιρὸν τὸν ἐνεστηκότα, which, if woodenly translated would say: "which is a parable into the time then-to-now-present." That is why I translated the passage as saying: "which is a parable for that time into the present." The ESV translates this parenthetical remark as "(which is symbolic for the present age)." The NASB translates it this way: "which is a symbol for the present time." The NIV translates it this way: "This is an illustration for the present time." And finally, the NLT translates it this way: "This is an illustration pointing to the present time."